For several decades, there has been a conflict between those who release pollutants into the environment and/or own polluted sites and those who wish those releases to be curtailed and want contaminated sites to be remediated. The polluters have generally been businesses that are most interested in controlling costs and maximizing profits or government agencies who often had other priorities of national interest (e.g., war efforts). Those opposed to pollution have sought to reduce the exposure risks of toxic chemicals and to ensure the sustainability of the natural environment. Some of these conflicts came to a peak in the 1970s in the United States, and they ultimately led to the creation of strong environmental laws that forced polluters to control emissions and to reduce the risk associated with contaminants on their sites. As a result of these new rules, a profit-driven environmental remediation and pollution control industry also emerged. The goal of this industry is primarily to help the polluters meet their regulatory requirements by developing and applying remedial technologies, helping the companies or agencies evaluate and implement technologies as they emerge, and/or ensuring regulatory compliance. During my 25-year career in this environmental remediation industry, I observed how technologies were selected for application at given sites, and I learned about the many subtle factors and conflicting interests that affected such decisions. I also observed the role that scientists can play in this high-stakes game that pits the profit motives of two parties and the legal requirements of a third party against one another to, hopefully, meet the needs of all parties. Herein I describe some of the lessons I learned with the hope of helping current and future scientists and entrepreneurs to develop and market successful technologies to improve waste treatment and pollution remediation. The implementation of strong environmental laws since the 1970s led to the creation of an industry focused on cleaning up contaminated sites and treating waste streams. The industry is composed of many profit-driven firms that vary in size from sole proprietorships to multi-national corporations. These remediation firms typically are dominated by engineers, and they focus on choosing and implementing technologies for clients who are forced to comply with the environmental regulations. Technology developers attempt to find solutions for addressing these remediation and waste treatment challenges and then either implement them themselves or sell them to the end users. In most cases the developed technologies are based on solid science and engineering principles. 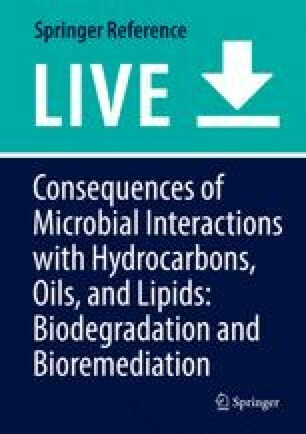 During my 25-year career as a technology developer and scientist in the environmental remediation industry I gained a unique perspective on how the business of remediation operates, and its relationship to scientific research. During this time I observed how particular technologies were chosen for application at a given site, and more importantly, why there was often resistance to the application of novel techniques or technologies. Herein, I attempt to provide some insight into how I saw the industry operate over the period from 1990 to 2015, with the goal of helping others prepare to work in this industry, but also to help researchers better understand forces that drive the selection and application of remedial technologies. The views I express here are mine alone. After completing my graduate and postdoctoral studies, I began my career in a start-up environmental bioremediation company known as Envirogen, Inc (Envirogen). Envirogen was a venture capital-funded company that planned to follow the biotechnology industry model of performing cutting edge bioremediation research and then commercializing the research product at high profit margins. The founders’ vision was to find biological solutions to remediate the most challenging contaminants (i.e., those that were not easily treated by using available conventional technologies), and also to develop improved treatment systems (i.e., bioreactors) that could be deployed to apply the new technologies. During this time, genetic engineering technologies were revolutionizing the biotechnology industry, and a few releases of genetically engineered microorganisms (GEMs) into the environment had been performed (Wilson and Lindow 1993). Consequently, the development and application of GEMs for site remediation was a priority. The initial target contaminants chosen by the company were polychlorinated biphenyls (PCBs) which had been widely used as transformer oils and chlorinated solvents (e.g., perchloroethylene [PCE] and trichloroethylene [TCE]) that were used in a wide range of cleaning applications. The company had raised sufficient funds to support both the initial research efforts and company administration. Within a short time, Envirogen built a commendable reputation by recruiting well-known and well-connected scientists and officers, hiring enthusiastic laboratory researchers, and by presenting its work in traditional scientific ways (i.e., publications and presentations at scientific conferences, etc.). Below are some of the lessons that I learned during this time. I believe many of these lessons are still true today and will be valuable to future entrepreneurs and scientists trying to navigate the business of environmental remediation and waste treatment. In the early days of my career, I often struggled with understanding how remedial technologies were selected (or not selected), and I saw that certain technologies often were chosen and applied at sites even if they were unlikely to result in complete or rapid remediation of the contaminants of concern. For example, pump-and-treat technologies that relied on pumping groundwater to the surface and treating it by air stripping or carbon adsorption were often applied to chlorinated solvent-contaminated aquifers, even though years of experience had demonstrated that these systems must typically be operated for decades to effectively remove contaminant sources. In most cases, technology selection appeared to be based primarily on cost. Furthermore, I learned that cost has many faces. It is important to realize that the goal of many companies with polluted sites is not to clean up a particular site, but rather to meet their regulatory requirements while minimizing expenditures. Any money spent to remediate a site is money that cannot be used for producing products or rewarding shareholders. Environmental issues are “liabilities” not “assets.” Furthermore, many of these liabilities are the result of past activities yet they negatively impact current business success. Thus, this concept of spending as little as possible on site remediation makes perfect sense from a business perspective. Likewise, the timing of expenditures can be equally as important to a company as the overall cost. That is, expenses spread over a long period may have far less impact on a current balance sheet than expenses expended over a short period, even if the overall cost for long-term expenditure is much higher. Therefore, some understanding of the time value of money is necessary. Evaluating the true cost of a technology is a daunting task. Costs that must be considered include equipment costs, installation costs, power consumption, waste disposal, and sampling and analysis costs. An important cost that is often overlooked by technology developers is regulatory compliance. Environmental remediation is almost always driven by environmental regulations rather than by company altruism. Consequently, there is a cost associated with meeting these regulatory requirements. These costs include those associated with collecting the required amount of monitoring data, preparing reports from those data, and evaluating the technology’s performance over months or years to prove effectiveness. In the case of innovative technologies, there is often the added cost of educating and convincing state and federal regulators of a technology’s efficacy. These costs can be very high, especially in jurisdictions where the regulators are either extremely skeptical of anything new, distrusting of companies and their consultants, generally unsophisticated and/or uneducated regarding emerging technologies, or some combination of these factors. Thus, some technologies are not selected simply because it is not worth the effort (i.e., cost) of trying to convince a responsible regulator to accept something new. Often, this somewhat hidden cost is known by a target customer who has a historic relationship with the site regulators, but not by the technology vendor/developer who is trying to advance a new technology. Another often overlooked cost is the cost of research and development. I am a strong believer that fundamental research provides the building blocks that ultimately can be cemented together to create solutions to remediation and waste treatment challenges. The cost of research, however, must be factored into the cost of developing and applying any innovative technology. Historically, many large companies in the United States and elsewhere maintained large and active research staffs focused on addressing environmental issues. Oil companies, for examples, studied the fate of spilled oil in the environment, while producers and users of PCBs evaluated remedial alternatives for these chemicals. Today, many of these company-funded research efforts have been reduced or completely eliminated because the cost of such work (reducing liabilities) outweighed the overall financial benefit. Some of this research is now contracted to university laboratories to reduce overall costs and/or is funded at a fundamental level by government entities such as the National Science Foundation or research programs and laboratories of the US Department of Defense, as many environmental issues cross government/industry boundaries. I was once told by a business development leader in our company to remove all “researchy” words, including test, evaluate, research, etc., from a proposal I was preparing for his client. He said, “Nobody wants to pay for research”! Having rudimentarily addressed cost issues, this retrospective could really end here. Researchers who have a goal of developing and applying innovative solutions to better protect and/or clean the environment simply have to face the reality that cost drives every decision, from pollution control to site remediation. Like it or not, cost is king. As a start-up biotechnology company in 1990, Envirogen selected chlorinated solvents and PCBs as its primary target markets. Research and market analysis showed that these contaminants were widespread and there were no readily available, low-cost, and effective technologies to treat them. Thus, they appeared to be perfect target markets that were (1) large enough to justify investing in research, the cost of which could be recovered over time, and (2) challenging enough that an innovative solution could justify large profit margins and rapid return on investments. Even the development and application of GEMs appeared worth the investment and regulatory costs. Enthusiastic business people and scientists have a tendency to overestimate market size. For example, nearly all scientific papers and research proposals related to a particular treatment approach for an environmental contaminant (e.g., bioremediation) begin with an introduction that describes its enormous distribution and a “dooms day” scenario concerning its potential impact on man and nature. They also typically insist that no other technology can effectively treat or otherwise manage the described contaminant. Similar assumptions led to Envirogen’s hopes of huge “value added” profit margins from successful technologies. What became apparent during my early days in the remediation business was that there are always alternatives for site remediation and pollution control, and there are always cost ceilings that limit the potential for large profit margins. PCBs, for example, certainly were, and still are, challenging contaminants to remediate, and they constituted a potentially large market. PCBs were nonflammable oils composed of biphenyl molecules that had been chlorinated to improve their stability and utility in a wide range of electrical applications. Consequently, they were mixtures of chemicals containing many chlorinated congeners with different degrees of chlorination. While some congeners could be biodegraded either anaerobically or aerobically by some bacteria, complete remediation of PCB contamination was extremely challenging. Thus, they appeared to be a prime target for which high profit margins could be generated if someone could develop an effective low-cost remediation technology. What was overlooked, however, was that even in the early 1990s, effective PCB remediation technologies did exist for many contaminated media. Namely, “dig and haul” where the contaminated media were excavated and emplaced in special landfills or incinerated at high temperature to destroy the PCBs. While these technologies are and were unpopular and unacceptable to some, from a company’s or agency’s perspective, they could remove an environmental liability. Furthermore, even though these technologies were expensive to implement, they did create a cost ceiling. Any new, innovative technology had to fall well below this ceiling to have a chance at widespread implementation. Thus, the expected value added profit margin of any new technology had an upper limit. Speculation in the 1990s even suggested that some companies did cost analyses that showed that long-term legal litigation was more cost effective, by about half, than dig and haul remediation (i.e., lawyers were half as expensive as digging and landfilling!). Thus, cost considerations might have dictated that companies engage in long-term litigation to delay the costs of actually remediating a PCB-contaminated site. In the final analysis, the market for PCB bioremediation appears to have been far smaller than originally estimated, and the potential for large profits had a ceiling. Many smaller sites were remediated by removing contaminated soils to landfills or immobilizing the contaminants in place. Regulatory limitations on PCB uses reduced the creation of new polluted sites, thereby further limiting the attractiveness of PCBs as a high profit margin target. Likewise, research advancements have demonstrated that some natural attenuation of PCBs does occur in the environment, and natural attenuation strategies now appear to be the primary remedies sought for PCB-contaminated sites. Clearly, however, some contaminated environments, including harbor and river sediments, still have some luster for entrepreneurial scientists and business people. Another market that appears to have been greatly overstated is the remediation of hydrocarbon contaminated soils and groundwater at gasoline stations. There are many thousands of gasoline stations in the United States and elsewhere. Even with the implementation of new rules that limit subsurface contamination via corroded underground storage tanks, releases of hydrocarbons at these sites are common. This market appeared especially fruitful with the discovery of methyl-tert-butyl ether (MTBE) from gasoline in groundwaters in the mid-1990s (Squillace et al. 1996) because MTBE was recalcitrant and not easily removed by conventional technologies (i.e., natural attenuation or air stripping and adsorption onto granular activated carbon). For Envirogen, despite the successful discovery of microbes that could degrade MTBE by co-metabolism (Steffan et al. 1997) or that could grow on MTBE as a sole carbon source (Hatzinger et al. 2001), and the demonstration of potential remedial technologies (Steffan et al. 2000; Vainberg et al. 2002), the structure of the gasoline station market proved limiting as a source of value-added profit margins. Specifically, although some large oil companies or their subsidiaries own significant numbers of gasoline stations in the USA, most stations are franchisees or independently owned either individually or as a small regional group of stations. Environmental management of the oil company-owned stations historically has been performed regionally through contracting, on a low cost/margin basis, to smaller local consulting companies that could manage a few or several stations. These smaller firms typically applied traditional, low lost, yet relatively reliable, technologies including air sparging and pump-and-treat approaches regardless of the presence of MTBE. Likewise, the smaller companies and independent operators typically relied upon application of the lowest cost remedial alternatives, often with the goal of low-cost, long-term operation that did not interfere with the on-going business at the station. Thus, the lack of consolidation of station ownership and site management within the oil industry limited the ability of the gas station remediation market, even with MTBE, to support the implementation of high profit margin technologies that could justify research and other costs associated with innovative technologies. A final example of how the market can impact the success of an environmental remediation business can be found in the remediation of chlorinated solvents (primarily PCE and TCE). Chlorinated solvent contamination is clearly widespread around the globe as a result of the use of these chemicals as degreasing and dry cleaning agents. In the early 1990s, there were few remedial alternatives for sites with chlorinated solvent contamination in groundwater. Although some research-developed bioremediation alternatives were demonstrated (McCarty et al. 1998; Steffan et al. 1999), it was the discovery of complete anaerobic dechlorination of these compounds (Freedman and Gossett 1989) and the subsequent identification of a Dehalococcoides sp. (DHC) microbial catalyst (Maymó-Gatell et al. 1997, 1999) that led to the rapid expansion of bioremediation as a preferred method for chlorinated solvent remediation (Steffan and Schaefer 2016). One company that capitalized early-on on the discovery of DHC as a biocatalyst for chlorinated solvent degradation was Geosyntec, Inc (Geosyntec). Through research performed at the University of Toronto (Duhamel et al. 2004), the company acquired a DHC-containing culture known as KB-1, and they demonstrated its efficacy during a US Department of Defense-funded field project (Major et al. 2002). The company then rapidly commercialized the culture and began selling it at seemingly very high profit margins. Their ability to demand these high prices, however, was short lived because our company, using existing fermentation technology and expertise, was able to produce very large, high DHC-density cultures (Vainberg et al. 2009) and deliver them at approximately one-fourth the price that Geosyntec was able to demand. This forced Geosyntec to reduce their prices to be competitive in the market. Thus, this example demonstrates that regardless of what one thinks the market might be, and the technology prices that it may support, if the market is fruitful (i.e., large and profitable) it will attract competitors. One of the hallmarks of Envirogen’s early success in the environmental biotechnology industry was the founders’ foresight to incorporate a holistic, systems-focused approach to the business. This approach combined scientists who could understand biocatalysts with engineers who could develop reactor systems to apply the biotechnology and/or hydrogeologists who could design, construct, deploy, and evaluate in situ systems in aquifers. They also employed technical sales people who could market the technologies, and business people who could manage and run the company. Success depended on strong leadership and consistent cooperation. Research scientists (primarily molecular biologists and microbiologists) working for the firm were soon forced to learn the meaning of many new terms such as hydraulic residence time, mass transfer, pressure drop, porosity, hydraulic conductivity, groundwater velocity, as well as budget, gross margin, net margin, profit margin, direct costs, indirect costs, and more. Some also found themselves speaking to outsiders who had their own languages. These included patent attorneys who use terms like specifications, claims, prior art, novelty, and dependent claims to name a few, or regulators who spoke of EPA regulations, QA/QC, sentinel wells, and the like. Similarly, scientists in the environmental industry often are called upon to interpret and translate these foreign languages for someone with limited or no technical expertise, be it an investor, regulator, salesperson, or business owner. Thus, anyone seeking to pursue a career in the environmental industry, or even seeking to do applied research in an academic setting, would be well advised to cross-train to the extent possible in these many fields. Ultimately, these fields will all play a role in the successful (or unsuccessful) development and application of any new environmental technology. Becoming a scientist typically involves gaining specific expertise in a given area. This might be, for example, biodegradation of PCBs or TCE, or maybe biochemistry of DHC. My experience in the environmental industry, however, has taught me that success and sustainability often requires individuals to become generalists or “Jacks of all trades.” Rarely can one sustain themselves by performing the same type of work that they performed during their graduate or postgraduate studies. At the very least, individuals must acquire the ability to assimilate information quickly and then be able to apply that knowledge to adapt to rapidly changing circumstances. One hallmark of site remediation and pollution is that no two sites/waste streams are the same. Within any given day, a scientist in an environmental firm might be asked to answer questions about chlorinated solvents in groundwater, hydrocarbons in soils, the use of bioreactors to treat ammonium perchlorate or MTBE, or any other number of issues or topics related to remediation or waste treatment. Scientists struggle with decisiveness. We use phrases like “the data suggest…,” “it appears that…,” and “more research is needed….” People who manage environmental liabilities for companies or regulate sites for the government have to make decisions. The decisions they make are typically going to cost money, and wrong decisions could affect their careers. Often, site managers or regulators are not experts in a technology under evaluation, and they are hesitant to select technologies that are unfamiliar to them. Scientists and engineers working for technology developers, therefore, are often called upon to help these people make decisions, or even to be the person who will ultimately take the blame if something fails. It is not uncommon for a technology vendor to guarantee performance and absorb costs if the technology fails. Typically, as scientists in this industry, we are asked to make these decisions with less data than we desire. One of the greatest challenges scientists face in this situation is to have enough confidence to be decisive in the face of what always appears to be insufficient information. In the early days of my career, I was on a conference call with a potential client discussing the option of adding a carbon substrate to stimulate in situ biodegradation of TCE in an aquifer on his site, a technology that is now widely accepted (Steffan and Schaefer 2016). We had not yet applied this approach in the field, but we had done significant laboratory testing with positive results. Moreover, the approach was becoming better understood overall and had been performed successfully in the field by others. When the client asked if we had done this at full-scale before, I answered truthfully, but told him I “thought” it would work at his site based on site data and what we then knew about the technology. He did not select our approach. In the eyes of the client, I apparently was not decisive enough to convince him of the technology’s potential and to invest his company’s hard-earned money. As a leader of a technology development group, it was a great challenge to develop the necessary level of decisiveness in our scientists. It also appeared that the better the scientific training the scientist had, the greater was the challenge to get them to commit to a decisive answer. Ultimately, those scientists that developed the ability to walk the fine line between decisiveness and innate scientific resistance to commitment were most successful in the long run, whether they were writing research proposals or papers, or meeting with clients. An often overlooked component of a successful technology business is marketing. During my graduate studies, I developed a method for using a novel technology, polymerase chain reaction (PCR), for monitoring bacteria in the environment (Steffan and Atlas 1988). At the time, PCR was a largely unknown technique, PCR kits were not yet commercially available, and PCR machines were nonexistent. After our paper was published, my advisor was contacted by Roche Pharmaceuticals who owned the rights to develop PCR machines and PCR technologies for environmental applications. With their support, and one of the first ever PCR machines, we set out to develop a PCR technology for detecting coliform bacteria, including E. coli, in water samples (Bej et al. 1990). The project was successful and led to a patent (United States Patent 1994). I naïvely expected that the world would beat a path to our door, but I was quickly informed by our Roche sponsor that “marketing is king.” If someone did not actively market and sell the technology, it would have no commercial value. This turned out to be true and was a valuable lesson on the importance of marketing irrespective of whether or not one holds patents in the environmental field. As Envirogen began its journey to develop and commercialize remediation and waste treatment technologies, marketing was always critical. Few environmental managers are willing to be the first to apply a new technology because of the risks described above. Consequently, the sales cycle for a new technology (i.e., from first engaging a client to making a sale) can be very long, and extensive marketing and strong salesmanship are required to fully commercialize a new remediation technology. This is certainly not unique to the remediation industry, but because of the nature of the business (with liability-driven and risk-averse clients), it is almost always true. In my experience, most scientists are not natural sales people, especially when it comes to closing a deal. As a result, a close working relationship between sales people and technology developers is essential. Scientists and engineers must teach the sales people about the technology and also help them to develop materials that can be used to promote its most important aspects. Likewise, scientists and engineers are often critical in discussions with decision makers (e.g., buyers and regulators) to help promote acceptance of technologies. Good sales people have the ability to keep discussions moving forward and getting buyers to commit resources. The ability of a scientist to be confident in sales situations and to help make sales is an obvious asset, so any training that can be done to enhance these capabilities is beneficial to any entrepreneurial scientist. Unbeknownst to many of us, however, scientists are always selling themselves; whether it is writing a research proposal, publishing a paper, or presenting our work at scientific conferences. Like it or not, marketing rules the day. Any successful business starts with a vision of future sales and business success. As the business progresses and marketplaces change, the business must adapt to take advantage of new opportunities. The most successful businesses are those that foresee events that change the markets. These events could include the emergence of a new contaminant or market niche (e.g., sediments, groundwater, etc. ), changes in regulations, or a new targeted effort by a funding agency. As a contract research laboratory, for example, we often had a competitive advantage when seeking research funding if we had sufficient preliminary data to support suppositions we made in our research proposals. Likewise, to capture market share in developing markets, we had an advantage if we had foreseen the market developing and prepared ourselves by collecting necessary data before the market emerged. In our case, decisions to attack a new market were rarely made by management and passed down to the research and development personnel (i.e. top-down). Rather, the scientists who had the training to understand the challenges of treating new contaminants or solving new problems were responsible for communicating important information to the business management (i.e., bottom-up). The ability to predict the future comes with experience. For those of us at Envirogen it was essential to maintain contacts in the industry, attend conferences, and pay attention to subtle changes in communications about particular contaminants or markets. Often there are small amounts of smoke before there is a fire. By maintaining open relationships with our funding agencies, clients, regulators, and our friends and colleagues, we often identified subtle clues about pending actions and work opportunities that triggered us to expend resources to be prepared for the coming changes. When attempting to predict the future, it is rarely an option to sit and wait for the phone to ring. One area where we did not predict the future well was in our decision to invest in the development of GEMs for site remediation. In the mid 1980s through the early 1990s, several field-scale applications of GEMS were planned or performed (e.g., Wilson and Lindow 1993). This led us to believe that the market for GEMs for otherwise recalcitrant contaminants like chlorinated solvents and PCBs was emerging and suitable for sizable research and development investment. The market for GEMs for bioremediation, however, never materialized. I believe the reasons that the bioremediation market for GEMs never developed are many. First, initial proposals to release GEMs into the environment were met with extreme reactions from the anti-genetic engineering community. This led to vicious protests and demonstrations and fear mongering that predicted catastrophic outcomes suitable for horror films. Importantly, these protests led to hesitation by potential users of the technology who did not want to add the publicity of the anti-GEM movement to the already negative stigma of their polluted sites. Secondly, the regulatory framework for applying GEMS in the field created great uncertainty. Technology developers could not be sure about what data would be necessary to obtain a permit to release a particular GEM. This uncertainty meant that the cost of applying GEMs could not be readily calculated. As an example, I was once asked by an environmental manager at an east coast military base where we proposed to inject a mutant (non-GEM) Pseudomonad into groundwater for TCE remediation if I could insure him that the added culture would not kill salmon on the west coast of the US. Generating this additional data would be costly, indeed! A third, yet often overlooked, limitation to the use of GEMs is that it is likely that naturally occurring microorganisms able to do what we are trying to with GEMs will eventually be discovered. It has long been proposed that the diversity and adaptability of natural microbial communities are so great that they may be infallible in their ability to respond to new contaminants (Gale 1952). Many compounds initially thought to be recalcitrant and good targets for GEMs are now known to be treatable by using naturally occurring microorganisms. Furthermore, with the possible exception of DHC for chlorinated solvent remediation and a few other similar cultures, exogenous cultures added to the environment to degrade contaminants rarely survive and perform well, even if short-term laboratory studies might suggest otherwise (DeFlaun and Steffan 2002). All of the above factors continue to affect current and future applications of GEMs for site remediation, and it is unlikely that they will be widely used in the foreseeable future. Technology development for pollution remediation can be an exciting and fruitful career for the well-suited scientist or entrepreneur. It is very rewarding to experience one’s technology selected for implementation at a site and then meet the goals of site remediation or successful waste treatment. Scientists entering this field, however, must be prepared for the factors that actually drive technology selection and implementation, and they also must be aware that there are real limits on the profits that can be generated by a given application. Most importantly, one must never forget that, in the business world, cost drives every decision, and altruism is rare. Furthermore, stakeholders are many, and often careers or businesses are dependent on the success of treatment applications, so technology selections are taken very seriously. I have attempted to provide some insight into how I saw the industry function during my career. Cross-disciplinary research focused on understanding how and why remediation and technology decisions are made in actual remediation or pollution control situations, and how to better focus academic research to meet these real demands will better prepare scientists and engineers who seek careers involving pollution control and remediation and also ensure that limited research funding is used efficiently.